High place of pilgrimage well known to the Chinese but forgotten by our tour guides, Wudang Shan is this thousand-year-old chain of mountains that stretches for 400 kilometers on the border between the Yellow River basin and the Yangtze basin. Walking along the mountain, in a drop with dense vegetation, a concrete road allows, since the mid-nineties, access to the main temples. Built in the course of the Yuan (1276-1368), Ming and Qing (1644-1911) dynasties, eight palaces, two monasteries and thirty-six temples lay along the massif. 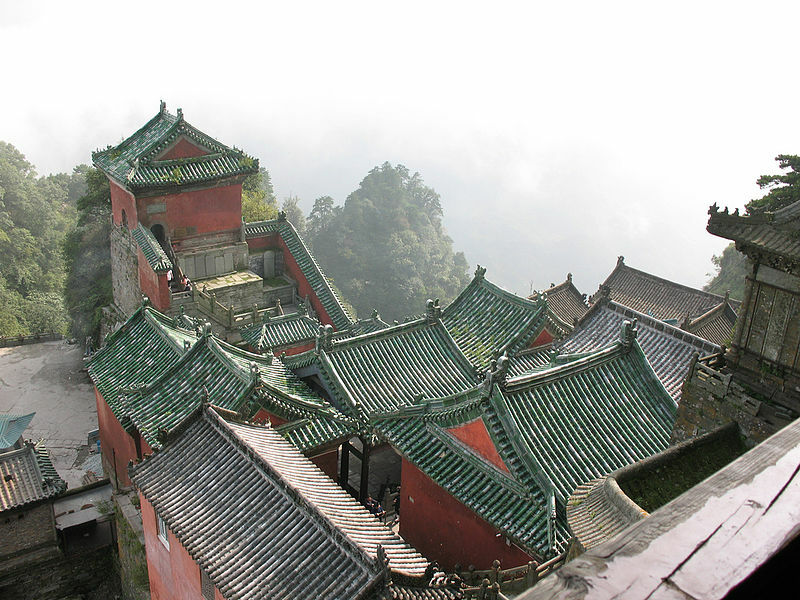 Halfway up the summit, the temples of Nanyuan are joined by labyrinths of stone paths spinning, skirting and climbing the slopes of the mountain. Listed since 1994 in UNESCO World Heritage, the first temples date from the Tang Dynasty (618-1279), but most buildings were built as a whole under the reign of Zhu Di (Ming Dynasty, 1413). A hundred monks populate the mountains. They continue to practice their religious rites and preserve the buildings. The mountain is now organized, but the fervor remains intact. Some pilgrims do not hesitate to travel thousands of kilometers to come here to pray or to be blessed. The foreigners, who are won over by the aura of Wudang tai chi come to practice in this unique setting. Cradle of this internal martial art, the sacred mountains counted, a few years ago, several schools. There are only two left.